Cleveland State University in Ohio is developing into one of the best urban universities in the nation. Investment at the ground roots graduate level is illustrated by the recent purchase of benchtop NMR spectrometry to offer students hands-on experience of the latest in scientific instrumentation. Dr Vania De Paoli is an associate college lecturer in the Department of Chemistry where she is leading a program to create a solid environment for teaching Organic Chemistry. 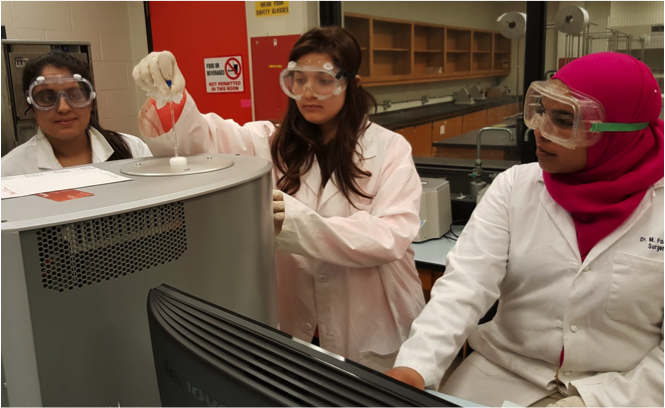 Prior to investing in the Magritek benchtop NMR spectrometer, students‘ practical options were limited to the measurement of melting points and refractive index. Students were not experiencing anything close to life in a modern organic chemistry laboratory.